On Thursday, U.S. Northern Command (NORTHCOM) released an updated list of the military units who are being sent to the U.S.-Mexico border in response to the migrant caravans that are making their way through Central America. 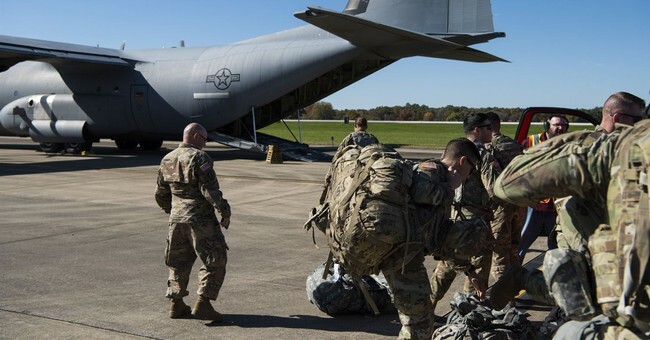 Reinforcing the Department of Defense’s point on the units being sent in support of the Department of Homeland Security, the deployment mostly includes public affairs units, medical staff, engineers, and aviation elements to help transport CBP. “A revised listing of deploying units is below, with the actual unit deployed listed first and the parent unit from which units deployed from listed second,” the statement explained. President Donald Trump caused a stir and many questions on the use of force after he said if rocks are thrown at U.S. service members, they will consider it a firearm. In terms of who will be armed during the deployment, Col. Robert Manning, Director of the Defense Press Office told reporters on Monday the only military personnel who will be armed are the military police units that are there for force protection as the troops work on reinforcing the border. “Self-defense is an inherent right of a soldier,” Manning further clarified, saying the soldiers are trained on “weapons control” and use of force. Manning added there is no plan for DOD personnel to interact with the migrants.